Sometimes, we really can’t see the forest for the trees. Nonetheless, it certainly is more important to see the forest rather than looking at a birch sapling or a towering oak. 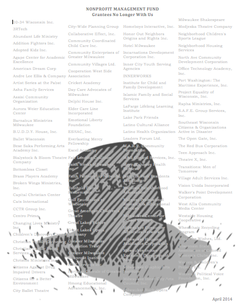 At the Fund, many trees were felled to review more than 2000 applications. We scrutinized every proposal and evaluation report looking for the seeds to determine if our grant could or did grow that organization. We diligently debated if our investment would bear fruit. 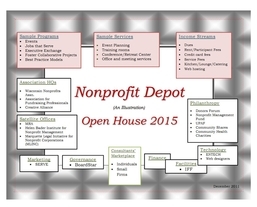 If nearly 800 applicant organizations were our trees, then Organizational Effectiveness in our local nonprofit sector was our forest. 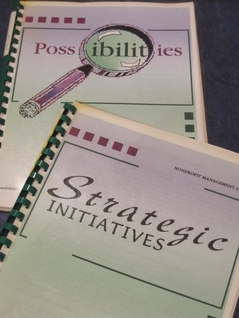 Early in the Fund’s history, we chose to work within a framework of organizational effectiveness. Nationally, we learned with our colleagues from across the country by participating in Grantmakers for Effective Organizations. 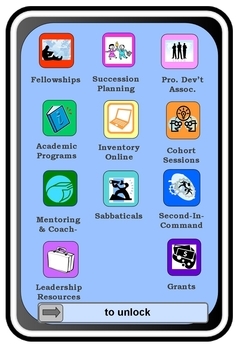 Locally, I used a strategy matrix to guide my reports and recommendations for committee consideration and decision. 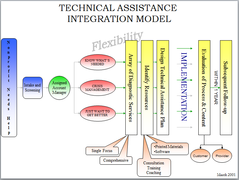 The Fund engaged different methodologies to achieve specific desired outcomes aimed at achieving its four effectiveness strategies. The most basic strategy was to provide and disseminate information. Through public forums, written materials, and website resources, the Fund enriched current management knowledge and better informed its nonprofit audience. 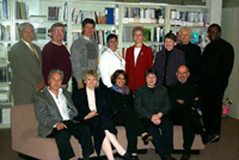 For example: the Board Bibliography and web dots were two publications produced around the turn of the century to identify resources for our grantees on board development and technology. Later, these two topics were married when we used technology to produce 112 podcasts on boards and governance. In order to develop individual skills, we organized and offered hundreds of workshops, clinics, seminars, and forums so that the participants were better equipped to implement a management task or achieve governance objectives. As often as possible, experiential activities provided opportunities for attendees to analyze the composition of their board; detail objectives to diversify their income; practice a fundraising pitch; or, outline their strategic planning process. 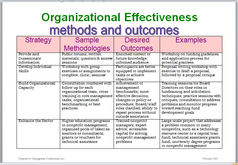 To build organizational capacity was the centerpiece of the Fund’s effectiveness strategies. 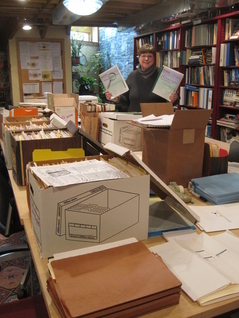 Through grants for board development, financial management, marketing, fundraising, etc. consultants worked with Board Directors and staff to achieve management benchmarks; detail changes in policy or practice; clarify roles and responsibilities; focus on future plans; and, guide them in making more efficient and effective decisions. 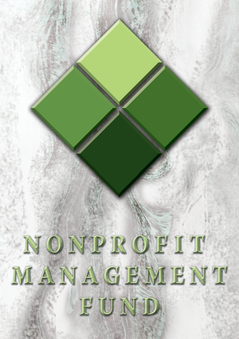 However, the ultimate strategy to achieve our goal of organizational effectiveness was to enhance the nonprofit sector. 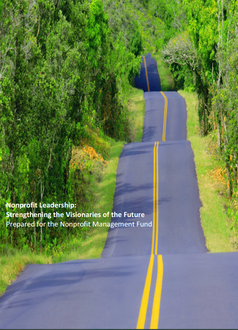 The funding partners decided that we needed to institutionalize some changes in our local nonprofit landscape that would continue to benefit organizational leaders of the future. The Fund determined the feasibility of establishing certificate and degree programs at local universities; offered professional development institutes to enhance consultative skills and knowledge; and, made grants available to address management and governance concerns. As a result of just a few of our sector investments, Milwaukee has more trained managers; greater depth in the expertise provided by consultants; and, accessible capital for solving nonprofit challenges. 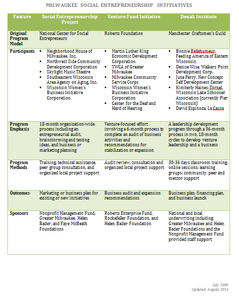 The resources informed nonprofit leaders, the educational opportunities developed their skills, and the grants to individual organizations built capacity, however, most importantly, the local nonprofit sector was greatly enhanced with a value beyond the Fund’s investments over the past 20 years. As a beneficiary on all levels of what the Fund worked to do, I am very grateful it had a systematic approach to the assistance provided to the sector. I know there are better informed Board Directors and Exec's still around guiding and encouraging organizations because of the Fund. The Fund also did something that is critical: it broke down the sense of isolation one can feel as they try to guide an organization through various challenges. 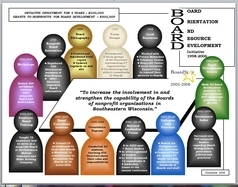 Yes, you can say \\\\\\\\\\\\\\\If you have seen one Board, you have seen one Board\\\\\\\\\\\\\\\ but really the seriousness of what we do and the commitment it takes to credibly run an organization is a challenge taken on only by the strong of heart. 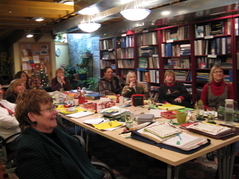 The Fund strengthened hearts, informed them, and even helped us to laugh at common foibles and joys we shared. We remain grateful for that! A benefit that might be considered secondary, although I do not see it as such, is that the Fund's very existence encouraged nonprofits to pay attention to their organization, to the individuals working and serving there, and to their effectiveness. The Fund made money available, so, of course, nonprofits decided to try to access it. That meant they had to assess their capacity, and look to invest in it and so took themselves more seriously as an organization moving beyond seeing themselves as simply doing good work. 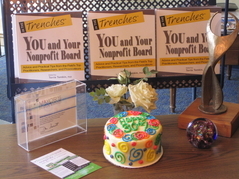 It encouraged nonprofits to be intentional about how they do that good work.